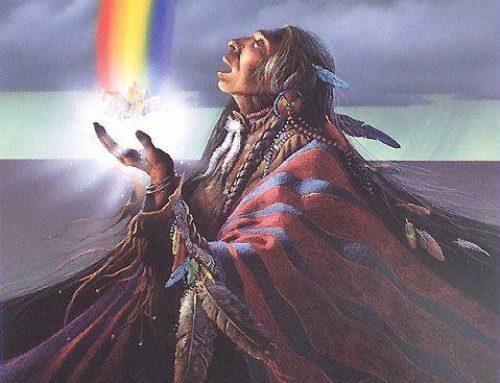 As Creator listened, the sound kept coming closer and closer until it finally it was right in front of Creator. “Who are you?” asked Creator. “I am the spirit of the drum” was the reply. “How will you take part?” Creator questioned. 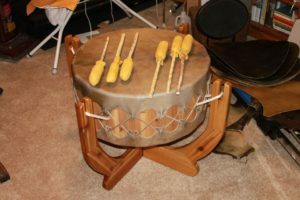 Creator granted the request, and from then on, the drum accompanied the people’s voices. Throughout all of the indigenous peoples of the world, the drum is the center of all songs. 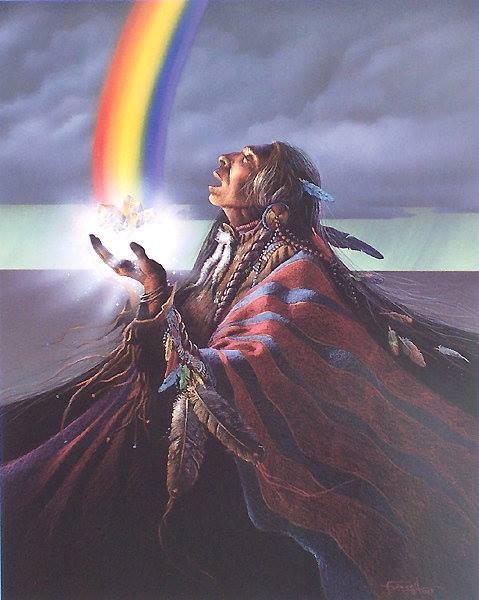 It is the catalyst for the spirit of the songs to rise up to the Creator so that the prayers in those songs reach where they were meant to go. At all times, the sound of the drum brings completeness, awe, excitement, solemnity, strength, courage, and the fulfillment to the songs. It is Mother’s heartbeat giving her approval to those living upon her. 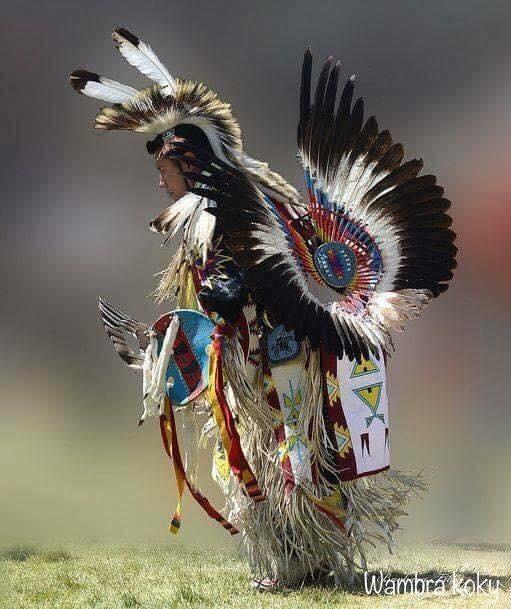 It draws the eagle to it, who carries the message to Creator.